Gayle Banic is a native of Indiana and relocated to the Research Triangle Park area in 2002. Ms. Banic graduated from Indiana University of South Bend where she completed the School of Dentistry’s Certified Dental Assisting Program in 1995. She is a Certified Dental Assistant (CDA) and Expanded Functions Dental Assistant with over two decades experience. Gayle is certified by Las Vegas Institute (LVI) for Advanced Dental Studies (LVI) in aesthetics and TMJ disorders. She is Invisalign certified and has held a CEREC certification since 1995. She is a Fellow of the Association of Dental Implant Auxiliaries (ADIA) and member of the American Dental Assisting Association (ADAA). At Stanley Institute, Gayle’s focus is on best practices for digital technology and team dynamic when placing dental implants. She presents lectures on digital work flow using CBCT and digital impressions with CEREC and Trios Digital Scan for both dentists and auxiliaries. 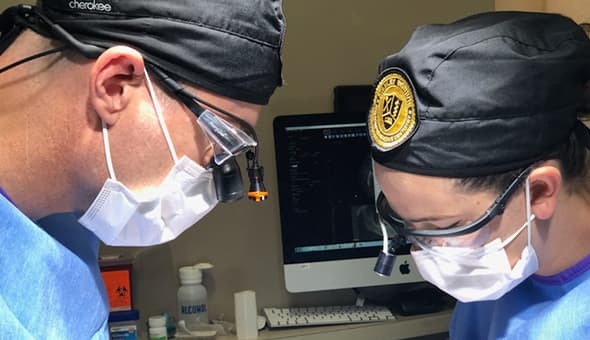 Additionally she mentors Institute attendees through the entire dental implant process including initial consult through treatment planning and acceptance and delivery from the Auxiliary perspective. When she steps away from her roles in dentistry and dental continuing education, Gayle enjoys gardening and exploring new places.